Are you in the mood for a last minute Christmas craft project? I’ve got just the thing…. 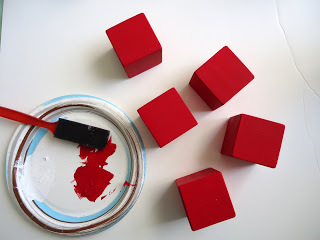 Sand the edges of 1 1/2 inch wood blocks and cover them with craft paint. 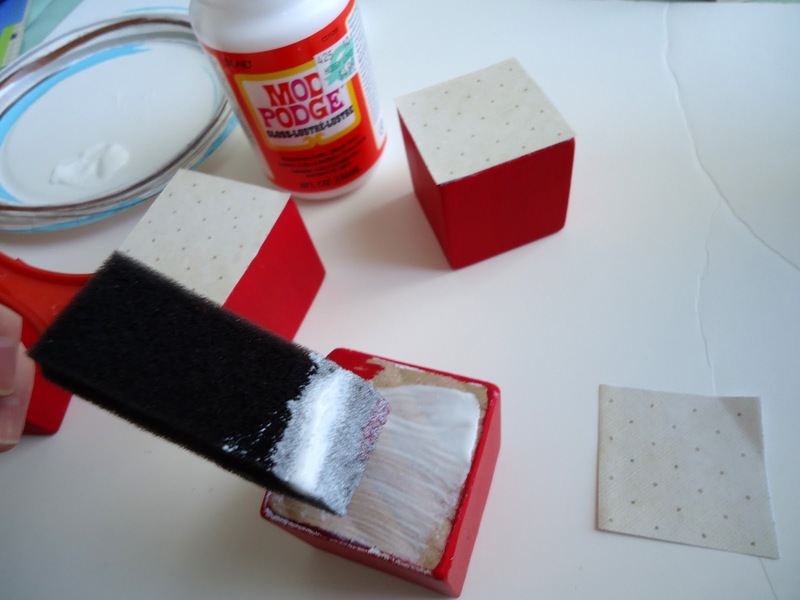 Apply a layer of Mod Podge to one side and stick some scrapbook paper to it (cut to size). 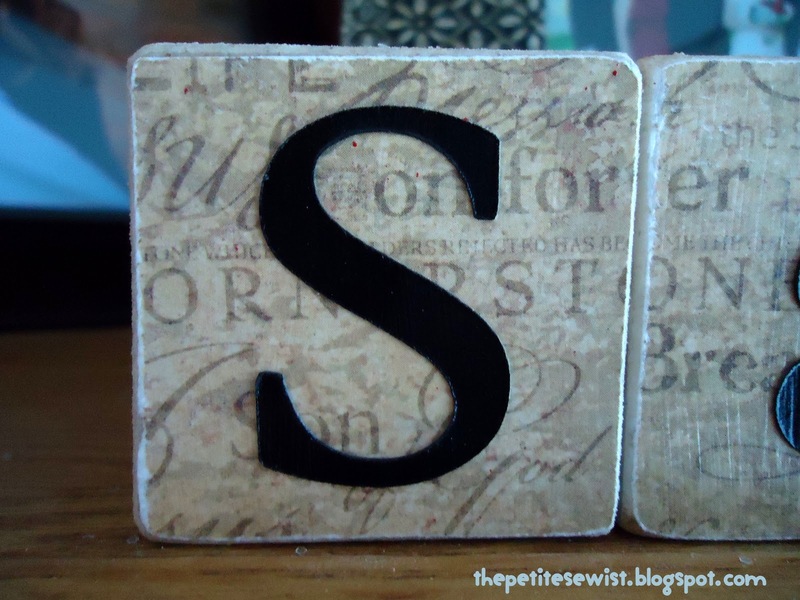 After it dries, sand the edges of the wood, add your letters and apply a layer of Mod Podge over everything. I used the gloss finish bottle. Let everything dry and you’re done! I spelled a name on the back of my ‘JOY’ blocks so I can enjoy them year-round. I sanded the edges of the ‘allen’ side, but for the ‘JOY’ blocks, I cut the paper a little smaller than the face of the block and didn’t sand them. A bunch of my friends sat around my table this week and cranked out their own blocks. We had a great time! There were ‘HOPE’, ‘LOVE’, ‘NOEL’ and ‘GOD JUL’ (Norwegian for Merry Christmas) blocks in all sorts of colors and patterns. Now we’ve all got a little something to put on our mantels/bookcases for the holidays.